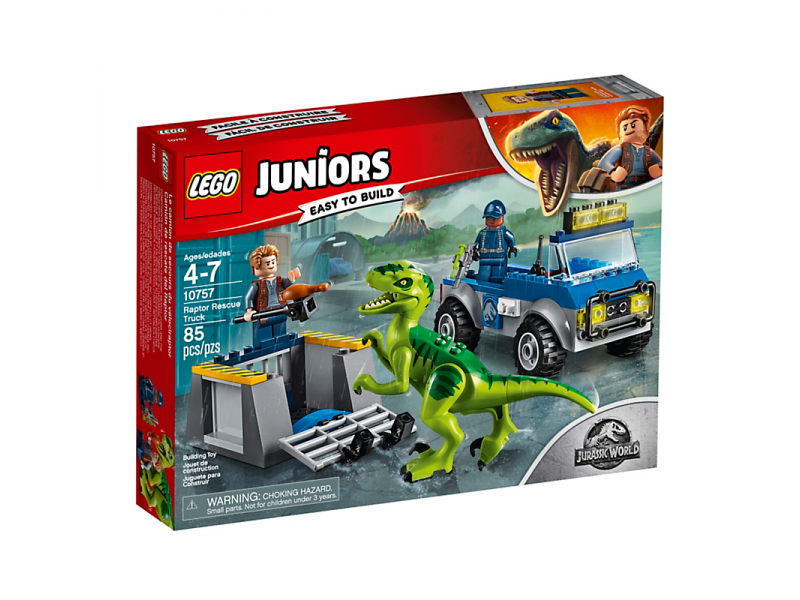 Introduce your child to the thrill of exploration and a LEGO® Juniors Jurassic World adventure, with this exciting Raptor Rescue Truck set, featuring a Quick Start chassis and removable cage with opening gate, plus a posable and buildable Raptor with opening mouth. This fun toy also comes with a simple guide to build and play, to help build confidence in children ages 4-5. Includes Owen and tracker minifigures, plus a Raptor figure. 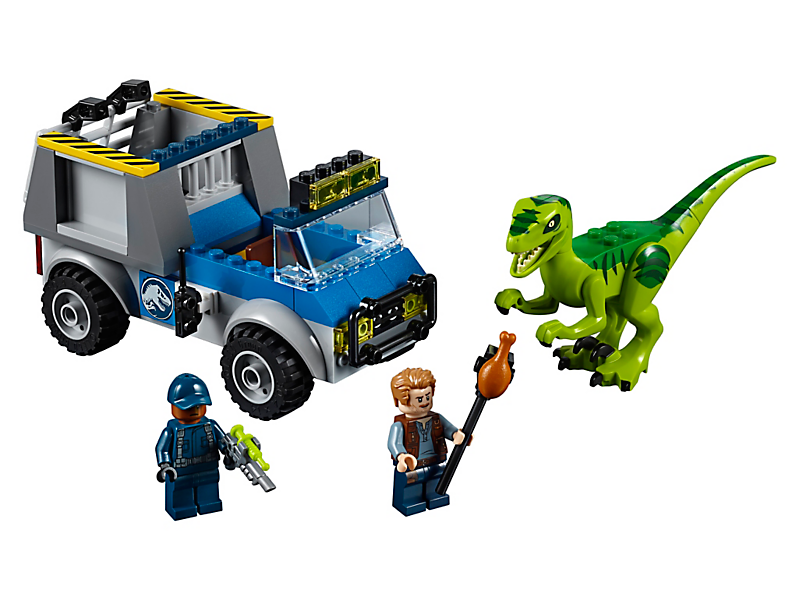 Includes 2 minifigures: Owen and a tracker. 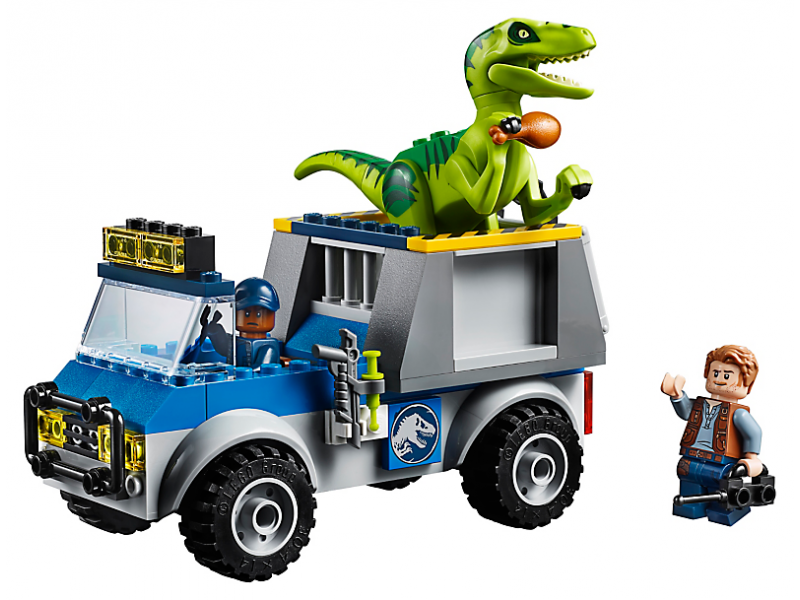 Features an off-road truck with Quick Start chassis and space on the back for the removable cage with opening gate and space for the buildable Raptor. Tempt the Raptor into the cage with the chicken leg on a stick. Drop the gate on the cage to lock the Raptor inside. 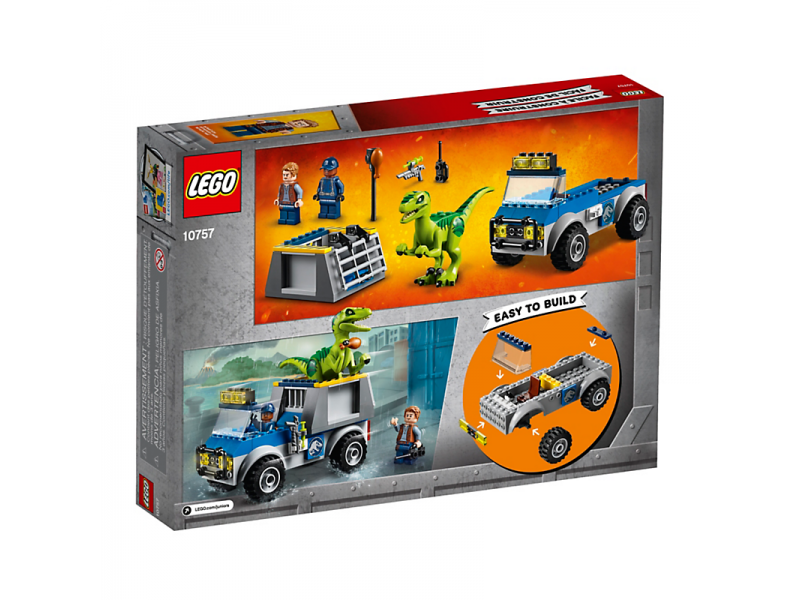 Secure the cage to the back of the truck and escape the exploding volcano. Accessory elements include a tranquilizer gun, walkie-talkie, stick and a chicken leg. 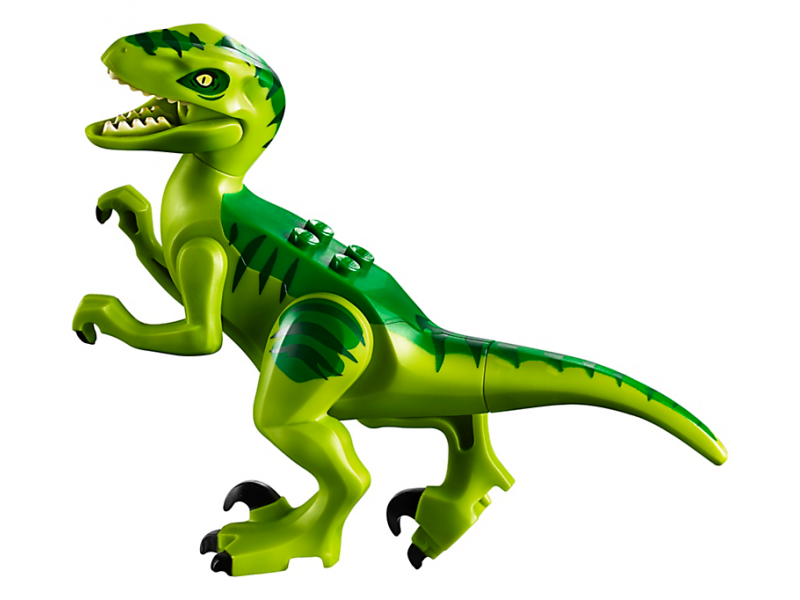 This fun toy is suitable for ages 4+. Truck measures over 2” (7cm) high, 5” (14cm) long and 2” (7cm) wide. Cage measures over 1” (4cm) high, 2” (7cm) wide and 2” (6cm) deep. Raptor measures over 2” (7cm) high, 4” (12cm) long and 1” (3cm) wide.